ServiceMaster Clean has been at the forefront of the green cleaning industry. Our Green For ™ products contain ingredients that are listed by the EPA as safe for consumption and free of surfactants or wetting agents. Green For™ products contain no VOCs or corrosive, alkaline or acidic ingredients. ServiceMaster Clean Green For™ products are certified by Green Seal. Our Green For™ products are environmentally friendly with results equal to traditional cleaning products. ServiceMaster Clean’s proprietary, patent pending Capture and Removal cleaning systems actually reduces particulate emissions. Our specially designed vacuums, microfiber towels, microfiber mops and our cleaning process removes dust and dirt instead of circulating it back into the work place. As a ServiceMaster Clean franchise, we have access to our online university for training in all aspects of our services. That insures we have the latest information, technology, and programs to fit all your cleaning needs. On the job training and communication programs insure that we get it right the first time. Through communication and teamwork, we clean your office exactly the way you like, day-in and day-out. Special programs and direct access also ensure that should a problem arise, resolution is swift. That is the power of our Capture and Removal cleaning process and our PACT communication and inspecting system. Constant availability and communication ensures we know your business’ unique cleaning needs and that we are continuing to deliver exceptional service. Studies have shown that green cleaning can offer measurable financial gains and benefits to employee health, productivity, and retention. Other financial gains include lower operating cost and government incentives by qualifying for and earning LEED ® points. Green cleaning can reduce sick building syndrome giving employees a safer and happier environment to work in. 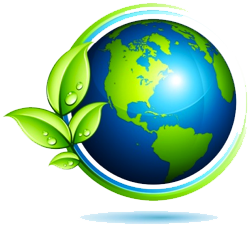 Green cleaning offers positive environmental impact and environmental stewardship. © SERVICE MASTER OF CHARLOTTE JANITORIAL. An independent business licensed to serve you by ServiceMaster Clean | All rights reserved.